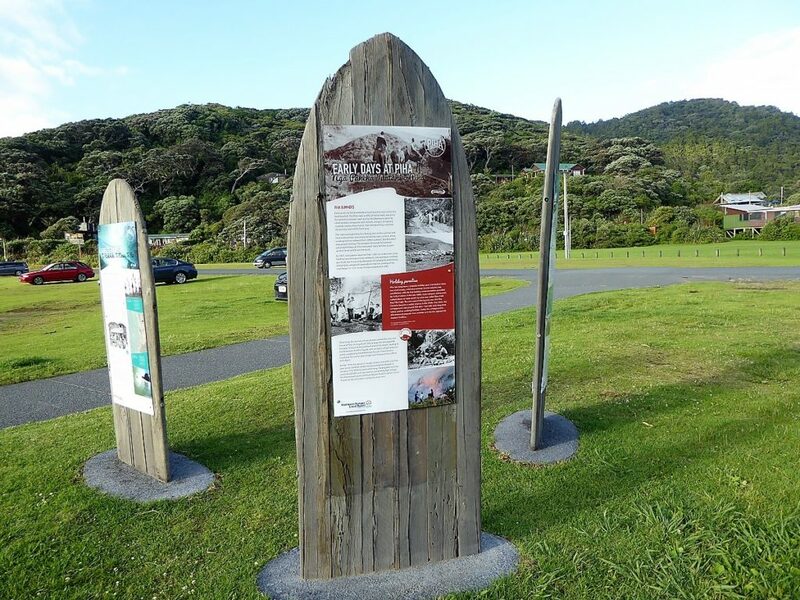 Waitakere Ranges Local Board has just renewed the wooden surf board signs that were installed at three places at Piha about 10 years ago. The signs were out of date and worn, but the style was popular. Paradigm, the firm which designed the original signs which brought back in for the update. Now the signs have the latest bylaw information – including updated info on dog rules – and information about kauri dieback. The historical information has also been updated, with new information at Les Waygood park about Les Waygood and the Waygood family. The signs were shitfed from outside the library as not enough people saw them, to beside the Eel Bridge, the main accessway to the beach for people parking in the Domain.